Today's post is Part 2 of the four part series on obstacles to creating an information ebook. For many, the thought of writing an ebook can make you feel like you’re at the base of an enormous mountain. A mountain you want to climb. Looking at it, your gaze goes up and up and up and up. It may seem there’s no end to it. It may seem it’s insurmountable. There are just too many obstacles, it’s just too big. Well, if you tackle one obstacle at a time, you’ll find it easier to get in gear and write, write, write. There are two information ebook obstacles that many people have difficulty overcoming. The first is that they don’t know what to write about. The second is they don’t believe they’re an expert, therefore they don’t feel qualified to offer advice. Below is listed each obstacle and its solution. 1. You’re not an expert in anything. This is a common obstacle to writing an ebook. What gives you the qualifications, the expertise to offer others advice? Interestingly, you know more than you think. If you’ve read three or four books on a topic, you know more about that subject than 90 percent of other people. Along with this, according to ebook and marketing expert Jim Edwards, an expert is anyone who can answer someone’s questions. It’s that simple. And, what’s great about the internet is if you don’t have the answers, you can find them. As a writer, research is second nature. But, even if you’re not a writer, finding out about a particular topic is no further than your fingertips. Simply type in a keyword search and let the search engine do its magic. Within seconds you’ll have links to lots of information you can use to answer questions. Enough information to write the ebook. Still feeling overwhelmed with the thought of having to research a topic or actually having to organize the new found information into an ebook format? Well, there’s another solution. According to Edwards, hire a researcher or hire a ghostwriter to do the research and write the entire ebook for you. 2. You’re not sure what topic to write about. 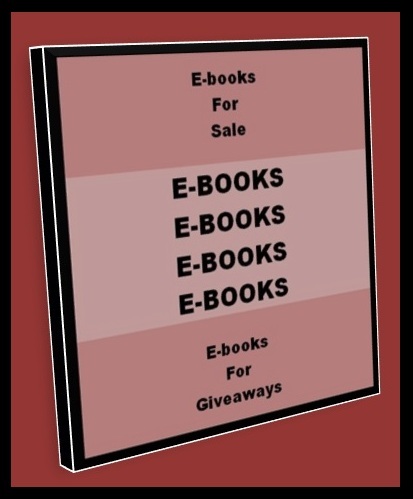 This is another common problem you may face when thinking of writing an information ebook. If you’re not an expert in a particular niche already, you may feel overwhelmed at the thought of choosing a profitable topic. But, it’s not difficult at all to find a ‘hot’ topic to write about. The news, online book stores, and social media are full of topics that are worth writing about. 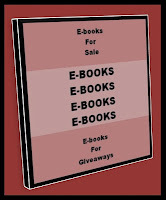 Type in a keyword at Amazon and see how many ebooks and books come up. If there’s a lot of information out there on the topic, it’s a ‘hot’ topic, a potential money making topic. Just put your own spin or insights into it and make it your own. Another Amazon trick is to plug a keyword in and Amazon will automatically give you the top ranking related keywords. This is also a helpful way to create a title for your ebook. Again, finding a topic for an information ebook is pretty easy. You simply need to find a topic that people are having a problem with, have a question about, or have roadblocks to. Your job will be to write something geared toward solving problems, answering questions, or overcoming roadblocks particular to your target audience. Thanks for sharing this, Karen. I can't wait to dig into it and start my ebook for my blog. I trust by this time tomorrow, with the right guidance, I'll be at the brink of my mountain and ready to step over the top. Hi, Marlene, I'm sure you can do it! Let me know when you have it done. As usual, thanks for sharing this, Karen. Great information. I'll go through my research and dig in and start my ebook for my blog. Marge, I'm so glad you can use this information!